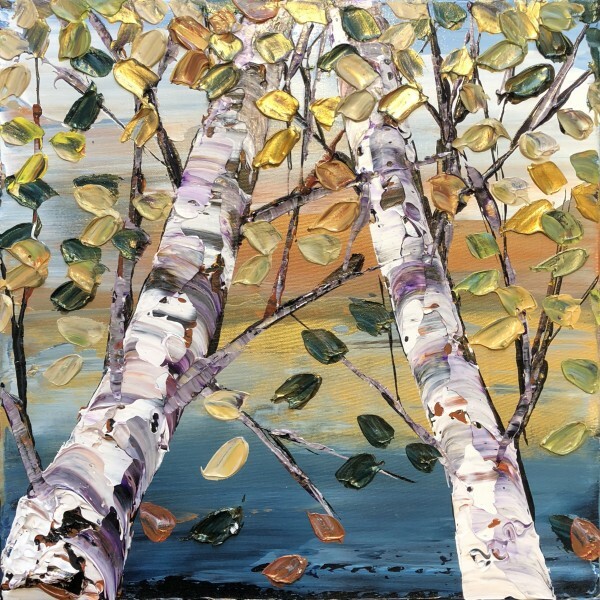 Maya Eventov Birch Looking Up Grey 2 Size: 16×16 (inch) Original acrylic painting on canvas. Available unframed or framed. Painting is on 3/4 inch stretcher frame with picture wire installed and ready to hang. Maya Eventov has placed color on the sides. Additional photos available by request. Maya Eventov is Canada’s number one original selling artist.